Founded in 1888, the National Museum of Bosnia and Herzegovina is the oldest western-style cultural and scientific institution in the country. The idea of establishing a museum goes back to the mid-19th century, to a time when Bosnia and Herzegovina was still a part of the Ottoman Empire as the Eyalet of Bosnia. Yet it would take four decades and a change of government for the idea to be realised. In 1878, the Eyalet of Bosnia was occupied by the Austro-Hungarians, who brought with them new political and social goals, customs, and values. These included the furthering of science through research and academic and institutional development. As an uncharted Balkan country, Bosnia and Herzegovina piqued the interest of many Austro-Hungarian scholars, but also pseudo-scholars and treasure hunters. As a result, many cultural artefacts were taken out of the country. This sped up the realisation of the idea to establish a museum, which had long been brewing. The Museum Society was established first, then the National Museum itself, on 1 February 1888. The provincial government, as the founder, named government advisor Kosta Hörmann as the director of the museum. 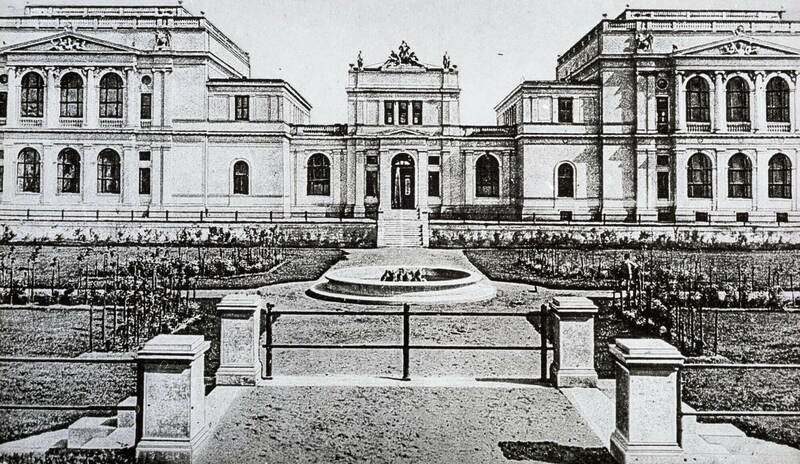 The original museum facilities in the town centre soon became inadequate for the growing collection, and so in 1909 construction began for a new museum complex comprising four pavilions and a botanic garden. The facility was completed and inaugurated in 1913. It would long remain the only purpose-built museum complex in the former Yugoslavia. It houses the National Museum of Bosnia and Herzegovina to this day.